Back in the days of full tours the touring team used to play against various provincial, invitational and combined teams. One such team was the Southern Universities side, and another was the South African Universities side. In light of the upcoming All Blacks match in Cape Town we thought we would look back at two of these games. One does wonder how a Combined Universities team would fare against the All Blacks of 2017! 25 August 1970: All Blacks 20; Southern Universities 3. On the 25 th of August 1970, Cape Town was the destination for a game between a Combined Southern University team and the visiting All Blacks. This side was made up of UCT and Stellenbosch players. By direction of the South African Rugby Board, Ikey legend Ian McCallum and Matie Gert Muller were removed from the Southern University team to play the All Blacks. Ian McCallum could well have made the difference as Jaekel the Maties fullback landed only 1 of six very kickable downwind penalties. However, both McCallum and Muller were left out as a consequence of the wrangling between the two selection committees, University of Cape Town and University of Stellenbosch. The UCT selectors Moss and Enderstein went to Stellenbosh to meet with Craven and Engelbrecht to be told “we will take McCallum and 14 Maties”. Moss and Enderstein dug in their heels and after a long meeting the Ikeys had a much better representation. The University team had quite a formidable side. 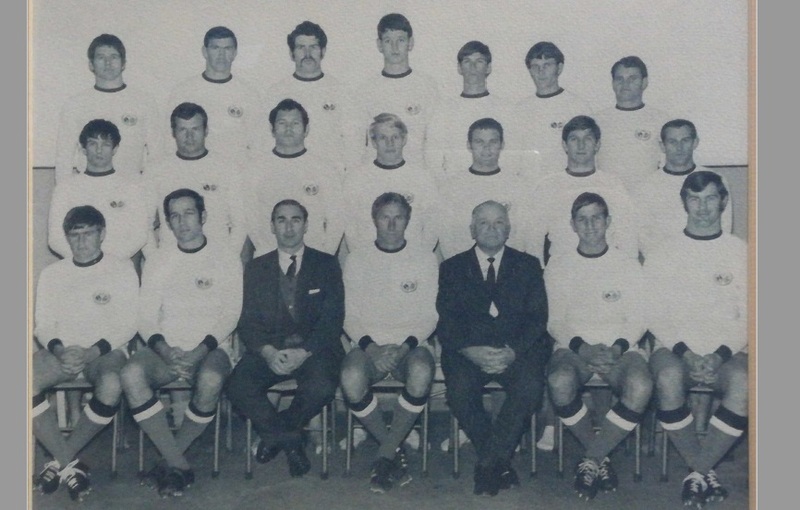 The team was: O Jaekel; Andy van der Watt; Johan Walters; Johann van der Merwe; Jannie Engelbrecht (Captain); Dawie Snyman; François de Villiers; Piet le Roux; John le Roux (UCT), G Watt (UCT); Frik Burger; J Coetzee; Rampie Stander; S van Straten; Derek van den Berg (UCT). Reserves: Barry Clements (UCT); Bruce Butler (UCT); Morne Du Plessis. These were the days when reserves only played if a player left the field for a Doctor certified injury. The coach was Doctor Danie Craven and the manager Dr Cecil Moss (UCT). 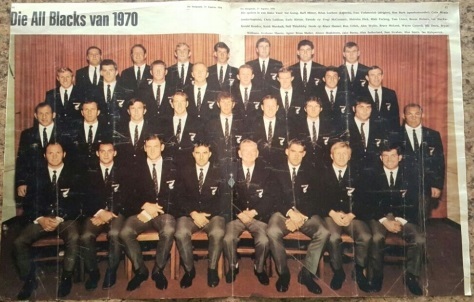 The team featured a young and baby faced Morne Du Plessis who went on to be Springbok Captain, Johann van der Merwe the one centre played for the Springboks in one test on the 69/70 end-year- tour, Johan Walters the WP centre was an outstanding player; the wings were both former Springboks namely Andy van der Watt and Jannie Engelbrecht. Dawie Snyman – not a Springbok yet but soon to be – was the flyhalf; the two props Rampie Stander and Derek van den Berg both later become Springboks as did Jan Boland Coetzee. 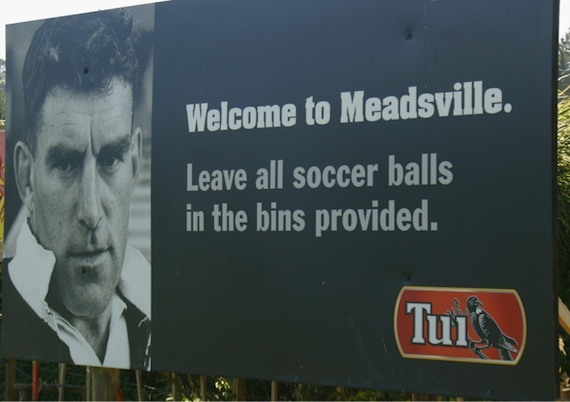 The legendary Colin “Pinetree” Meads played with a broken arm in a cast. He was not great in the lineouts and he resorted to intimidation, saying to his opposing lock, “if you keep taking my ball this will be a difficult afternoon for you”. Pretty good rumour was that his boot was responsible for the multiple stitches that Derek Van Den Berg had to have in his jaw. We weren’t surprised when he was the first All Black to ever receive a red card! When Derek followed the World Cup in New Zealand in 2011 he tried to renew his acquaintance with Sir Colin Meads in Lake Taupo, Meads declined the invitation. … a well-drilled Southern Universities’ side rocked the All Blacks for a good part of this match at Newlands today. For the first time on tour, including the tests, the All Blacks had to concede lineout possession while the students showed some fine attacking flairs in the backline that made the opposition look fairly mediocre. Fortuitously, the All Black forwards dominated the second phase play and control in this department saved the day. Two tries in the first half when the tourists were battling into the gale force wind were the commendable features of the game and after leading 11-3 at the interval it looked as though the All Blacks would run up another handsome victory. But the Universities’ team tightened its forward drive, played with economic initiative in the backs and only splendid goal kicking by Kember made the winning margin respectable. The ground was soft with pools of water dotted about and one would have thought that such conditions would be relished by the New Zealanders. In point of fact, the All Blacks appeared bogged down and never really got into stride. Danie Craven’s unwillingness, as president of SA Rugby and as a representative of Stellenbosch University to attend the after-match reception left the impression with the AB-team that he was a little sour about the result. This perception was confirmed when the bus driver remarked that he overheard Craven saying in Afrikaans: “You can’t beat 16 men”. All Blacks 20 points (tries Urlich, Davis and Going; conversation Kember, penalties Kember 3). Southern Combined Universities 3 points (penalty Jaekel).